Founded in 1953, Teac (Tokyo Electro Acoustic Company) Corporation stands among the other consumer electronics giants of Japan nowadays as a distinctly specialized entity in storage medium technologies. While the other conglomerates, such as Sony, developed the compact disc and SACD standard, and Pioneer was investing heavily in the Laser Disk of the 90’s and then the plasma television technologies, Teac is home to TASCAM, one of the most trusted and revered professional recording equipment manufacturers in the world. The widely-used TASCAM Portastudio recorder was even used by rock music legend Bruce Springsteen in producing his critically-acclaimed album Nebraska. Many audiophiles are still fondly reminiscent of Teac’s foray into high-end audio in the 80’s, with the introduction of many milestone products. While Nakamichi had its Dragon cassette deck, Teac was the only other company offering the equally seminal ZD-7000, and when Sony had its CDP-R1 CD transport and DAS-R1 DAC separates in the late 80’s, Teac introduced its P1 CD transport and D1 DAC under the new Esoteric brand. The disc stabilization mechanism developed for the P1 became the engineering blueprint for the eventual emergence of the VRDS (Vibration Free, Rigid Disc Clamping System) transport. In the evolution of digital audio since the dawn of compact disc, Teac/Esoteric remained consistently at the forefront with its constantly refined VRDS mechanism, and the technology has even become the prominent, most sought-after piece of engineering in the eyes of capable engineers for custom modifications. Currently, Teac/Esoteric produces no less than four standalone, top-tier disc transports (P-05 $7,500, P-03 $14,000, P-03 Universal $18,000, P-01 $26,000) that are equipped with the VRDS-Neo, the latest generation of the trusted architecture that are supposedly the most infallible of disc-reading mechanisms available that is also multi-format capable. Complimenting the four CD transports are three standalone, top-performing DAC’s, the D-05 ($7,500), D-03 ($14,000) and D-01 ($13,000 each, one per channel), joined by six CD/SACD audio disc players, the SZ-1 ($5,000), SA-60 ($5,000, DVD-A compatible), X-05 ($6,000), X-03SE ($8,200), X-01D2 ($16,500) and four multi-format video players, namely the UZ-1 ($5,600), DV-60 ($6,000), UX-3Pi ($9,500) and UX-1Pi ($16,500). Also being offered to the public and arguably the most glamorous Esoteric offering to date are three Master Clock Generators: the G25U (Also includes PCM upconversion at $2,900, +/- 1 ppm Master Clock accuracy), G-03X ($4,000, +/- 1/10th of 1 ppm) and G-0Rb ($16,000, +/- 0.00005 ppm). In 2007, Teac celebrated the 20th Anniversary of the launch of its Esoteric audiophile brand with the “10” series of products, namely the SA-10 SACD player ($3, 500), the AI-10 Digital Integrated Amplifier/Master Clock ($4,400), and the MG-10 ($2,600 per pair) and MG-20 ($7,800 with anti-resonance stands included) loudspeaker systems. The AI-10 represents Esoteric’s second amplification product in the company’s history, preceded by the AZ-1 Digital Pre-Main Amplifier ($4,500) in 2006, now also joined by the A-80 class A/B solid-state monaural power amplifier ($10,000 each), the C-03 stereo preamplifier ($10,000), as well as the company’s first 3-stage vacuum tube amplifier, the A-100 integrated ($19,000, see Dagogo’s 2008 CES Coverage Part 4). The subject of this review, the AI-10, is a higher-output version of the AZ-1 with significant variations. While the AI-10 also receives incoming digital signal via either its Coaxial or Optical (Toslink) Digital Input, the AI-10 does not rely on the same Cirrus Logic CS4398 DAC chipset for the job. Instead, Esoteric devised a PWM (Pulse width modulation) scheme for the AI-10 based on Texas Instrument’s new TAS5076 integrated circuit, which not only features an excellent error correction algorithm for signal processing, but also facilitates the capacity of higher amplification output. According to the TI whitepaper, the TAS5076 is a 3.3-volt, high-output 24-bit digital pulse width modulator with built-in overcurrent and over temperature protection for use with MOSFETs, thus suitable for driving loudspeakers directly. After the incoming digital signal is processed by the PWM architecture, it is then prepared by the master clock for output in a 1ppm- (one part per million) accuracy synchronization mode at the Esoteric-original Universal Clock sampling frequency of 100kHz. When synchronized to the AI-10’s master clock, compatible disc players, such as Esoteric’s own SA-10 SACD player, will supposedly improve in performance level. The same master clock also creates CD-compatible Word Clock Output Frequencies of 44.1, 88.2, 176.4kHz, as well as those at 48, 96 and 192kHz, which are DVD settings for the company’s own multi-format video players, namely the P-03 Universal, the UX-1Pi, the UX-3Pi and DV60. In addition to the PWM and master clock treatment of incoming digital signals, the Esoteric also converts all incoming analog signals into digital by way of the AKM (Asahi Kasei) 5385B 2-channel A/D converter, which operates at a 24-bit, 192kHz sampling rate with a 114dB dynamic range. The converted analog signal, now in the digital domain, is then processed by the same PWM and master clock architecture again. Esoteric fitted this PWM device with the IRF 6665 MOSFETs by International Rectifier (IR). According to Kazutaka Tsuda, Esoteric’s Manager of Oversea Sales, this IRF 6665 MOSFET features compact dimensions and is capable of fast heat radiation, thus negating the need for a heat sink. In addition, the IRF 6665’s compact body also allows for direct soldering onto the PCB (Direct FET), which eliminates the noise leakage problem prevalent in designs with long lead from MOSFETs. Most excitingly, Esoteric adopted the zero negative-feedback topology for optimum sound quality. The resultant exceptional speed of the Direct FET design is complemented by two 18,000 µF capacitors per channel, fed by a large, 205 VA toroidal transformer, producing a maximum output of 150 watts per channel into 8 ohms. One of the more intriguing functionalities of the AI-10 is the i_RC or i.LINK remote control function. The i.LINK function, also known as the IEEE 1394 computer standard, is desirable for facilitating digital transfer of SACD multi-channel signals, pending future hardware upgrade on the AI-10. Also requiring hardware upgrade, the i_RC or i.LINK remote control function, on the other hand, works in sync with the AI-10’s CH (Channel) mode that allows multiple AI-10’s to be operationally united by one leading AI-10 in a multi-channel system. In such a system, all AI-10’s driving their respective channels will respond in unison to the leading unit’s change in volume, muting and dimmer level. Most considerately, Esoteric offers its AI-10 owners a function called SVOL – the option of customizing the starting volume upon unit turn-on. If the next time you turn on your Ai-10, you would like to avoid being startled by the last volume setting that you left it with, the AI-10 offers the comfort of customizing a turn-on volume, from ∞ to -20dB. Rounding up the thoughtful niceties on the AI-10 are the pair of WBT “nextgen” speaker terminals and an RCA INPUT 4 that is switchable between Line and Phono MM. Hence, by virtue of the aforementioned engineering architecture, the Esoteric AI-10 has four layers of functionality. First and foremost, it is a high-efficiency, class-D power amplifier with a continuous output of 110Wpc/8Ω and 150Wpc/4Ω, while outputting 150Wpc/8Ω at maximum, and 200Wpc into a 4Ω load. The AI-10 is also a companion Master Clock Sync Generator device for its SA-10 SACD player, increasing the SACD player’s performance level by synchronizing operations of both units with its own high-accuracy master clock generator. Then, the AI-10 is also an upsampling DAC/ADC, offering to upsample all signal, digital and analog alike in origin, to your choice of 44.1, 88.2, or 176.4kHz for its eventual, analog outputting. Lastly, in a multi-channel or home theatre environment, a AI-10 can be added as needed to drive the surround-sound speakers. In accordance, the display on each AI-10 can be set to show either L (Left), C (Center), R (Right), LS (Left Surround), RS (Right Surround) or LFE (subwoofer). Esoteric endowed the AI-10 with a seemingly unremarkable exterior, it being a boxy design so explicitly old-fashioned on first look that, were it not for the two round knobs and mid-bay display on the front, could hardly solicit first-impression buyer interest. Once it was in my system, however, the Esoteric AI-10 turned the table quite unexpectedly with its super rigid, 5mm-thick top aluminum panel, 4mm-thick side panels and an equally sturdy front faceplate adorned discreetly by the Cello-like round knobs. Its appearance grew on me in such ways that I have been continuingly dumbfounded by the inexplicable urge for ownership. Compared to the AZ-1 array of Inputs and Outputs, such as two Coaxial and two Optical Digital Inputs, as well as two iLink ports, the AI-10 now has only one Coaxial and Optical Digital Input, and one iLink port. Whereas the AZ-1 offers BASS and TREBLE adjustments, the AI-10 has dispensed with the Tone Control functionality altogether. The Esoteric AI-10 was rotated around three transports, namely the $30,000 47 Laboratory 4704 PiTracer, the $8,500 Audio Note CDT-Three, and Onkyo’s $599 DX-7555 CD player with digital audio output. The Harmonix HS102RCADG1.5 digital coaxial cable secured the digital connections, while Audio Note’s Sogon interconnect partook in evaluation of the Esoteric’s A/D performance as connected to the Onkyo’s analog outputs. 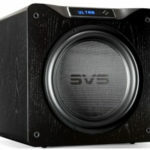 With the aforementioned speakers where concern for current delivery was not as critical as the dynamic output, the Esoteric drove the speakers to very satisfactory levels. It drove the Tannoy’s into producing the powerful bottom-end that Telarc recordings are notorious for, and was still maintaining a firm grip on the various levels of dynamic transients as presented by a full symphony orchestra. 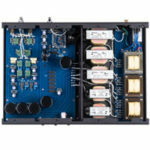 The case for digital amplification’s utilization of switching power supplies was profoundly presented here in the AI-10’s competent, stellar performance. 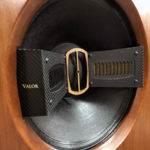 For readers intended on having their $20k high-efficiency horn speakers to be driven by the Esoteric, such as the 100dB/8Ω MaxxHorn, I have found the speakers’ presentation of human vocals to benefit consistently by high-power amplification, solid-state or tube,. In the particular coupling of the MaxxHorn to the Esoteric, the subtle but most conducive injection of ambience and bottom-end definition was almost akin to those articulated by the Pass Labs XA100.5 monoblocks, and while the instrument textural rendition was not on the same par with the Red Rock Renaissance monoblocks, neither did the Estoeric-driven MaxxHorn conjured up the abominable digital glare but a stable, well-tempered spectral behavior. In this regard, the Esoteric has been extremely easy to live with. In retrospect, as impressive as the Esoteric was in vanquishing the loudspeakers, its performance was nonetheless not on the same par as that of the Pass Labs XA100.5 monoblocks ($16,000 the pair). It would require the banks of output devices and oversized power transformers and capacitors, plus the unique Super Symmetry™ of Nelson Pass’ to render the super-extended tonal definition and spectral immensity that the Tannoy and MaxxHorn have shown to propagate; but the Esoteric cost only $4,400 for what it accomplished clock included, and what a stellar accomplishment and a good news to all audiophiles that was. Among the aforementioned transports, only the Onkyo was a complete CD player with its own onboard DAC and a digital output, and the Esoteric AI-10 Digital Integrated Amplifier/Master Clock’s contribution to a linked operation was immediately audible, regardless of loudspeakers employed. In particular, the Onkyo CD player’s digital union with the $4,400 Esoteric’s DAC, at a Word Clock Output Frequency of 176kHz, heightened the separation of tonal characteristics of instrument and vocal, with a noticeable increase in spatiality, thus contributing immensely to the liveliness of the musical event. In its latest incarnation as the LIM K2 HD disc, the Proprius Cantate Domino in its quarter-century run in a myriad of formats remains the most viable demonstration disc of church pipe-organ and choir of the most meticulously produced kind. The LIM K2 HD edition of the Proprius reference CD was embedded with so much sonic potentials that a 47 Lab PiTracer’s 90° pit-reading of the disc upside down, a mannerism that is further fortified by the enormous mass of the hovering, reading mechanism and a system of vibration dissipating measures, in combination with the Wadia RS9’s most encompassing and sophisticated DSP and electronic engineering, continued to be the most excellent, precision electronics to do justice in unlocking its secrets. Via the Onkyo/Esoteric coordination, the scale of the organ was nonetheless immense with a most complimentary balance in relations to the choir, and the rendition of the soprano’s ethereal, soaring and yet tranquil vocalization attained similarly fundamental musical vitality of the much more expensive 47 Lab/Wadia system. The beautiful aural sensation thus reconstructed was potent enough to have almost reenacted a distinct surrealism of the venue in my room. The Onkyo/Esoteric linkage accomplished at least 75% of the essence of the PiTracer and RS9 system at less than one-tenth the cost. Most importantly, the Esoteric AI-10 Digital Integrated Amplifier’s performance continued to escalate with the use of progressively superior CD transports, such as the Audio Note, and then the 47 Lab. In each step, the digital amplifier reflected the caliber of the transport in the finesse of the digital stream, and in each case, it was impossible to not be confronted with the notion that “it would be perfect in my system if I were not a reviewer.” The audiophile in me had contended the necessity to continue exploration of other gear when the AI-10 already existed, while the reviewer in me was indescribably elated by the emergence of such design and feeling somewhat comforted by the fact that anyone can now spend considerably less and can still assemble a high-caliber, streamlined system. The other major dividend of engaging the Esoteric’s full faculty of its ADC, Word Clock and DAC functionality in conjunction with the Onkyo DX-7555 was a clearer window of resolution on the budget CD player’s sensitivity toward contributions of isolation measures, such as that of the Combak Harmonix “BeauTone” TU-66ZX tuning feet. In spite of the budget CD player’s inherent, limited technological finesse, incremental isolation measures became more easily discernible, hence effectively elevating the status of the $599 CD player to a more competent high-end contender. Digital amplification has been implemented most notoriously by Linn of Scotland to considerable success, and my own experience of the company’s technology in my review of the $9k Linn Klimax Twin stereo amplifier had demonstrated the dawn of a technological frontier as the next level in amplification revolution, one that would dominate the minds of many designers and engineers. For $4,400, the AI-10 fulfilled that promise brilliantly. Engaging the AI-10’s functions fully as a reclocker, an upsampler, a D/A converter and an integrated amplifier, I heard spatial and tonal definitions befitting that from a $10k D/A converter + amplifier combo. While driving the MaxxHorn, the AI-10 exhibited remarkably extended and controlled spectral behavior, enabling instrument groups in a classical orchestra to have distinct and smooth tonalities. Apparently, the AI-10 was not some company’s idea of assembling an all-in-one machine together using the lowest-costing parts, it was Esoteric of Teac’s intention via its considerable corporate resources to give the audiophiles a machine unique in its well-rounded behaviors in an affordable and super-value package. I have always believed that it is most important to spend as much as half of one’s budget on the front-end first, for the excellence of the system must be established from the starting point. With Esoteric’s AI-10, I am now comfortable with the notion of using one’s cheap DVD player, get the $4,400 AI-10, and spend the rest on loudspeaker. For the Esoteric digital integrated amplifier is capable of raising the performance level of even a mass market DVD player equipped with a digital audio output while driving most loudspeakers. Moreover, if you are the reader with a $10,000 pair of medium efficiency loudspeaker and budget amplifications, and you are about to upgrade your CD player, get the Esoteric instead, and your entire system is upgraded. High-end doesn’t get much more fun than this. If I were to own a digital amplifier in my lifetime, the AI-10 will be the easiest and most immediate choice: Its sonic precision is at such level as to be ridiculously cheap in the present high-end audio marketplace, and the level of technological integration that Esoteric achieved in the AI-10 is extraordinary in today’s audio industry. Throw in over 100 watts-per-channel of power, meticulous D/A and A/D conversion systems and remote controllability, and you have an integration solution of such excellence as befitting the Esoteric label. All in all, $4,400 for an Esoteric DAC+ADC+digital amplification is a screaming bargain. Any Dagogo reader with a decent sound system ought to get one for him/herself. For the economy that we are in, the AI-10 is an even bigger value. Readers with budget component now have the option of experiencing an Esoteric DAC, which comes with its own integrated amplifier as a complete package, for a performance level requiring more than twice the investment if it were of any other make. With the exception of speakers with complex crossovers that exhaust amplifier power exponentially, the Esoteric AI-10 is a sound investment in attaining the better musical experience one can ever have at any time of hi-fi history, and a beautifully engineered masterpiece that has been overlooked for too long. Budget integrated amplifiers have always been designed to fit into a system with less ambitious designs of mitigating objectives. The Esoteric AI-10 must not be viewed as such. 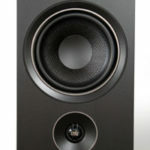 I recommend the Esoteric AI-10 wholeheartedly, and every audiophile needs to try it.